It's time for another Read Aloud Thursday at Hope is the Word! This is the season (fall) wherein a lot of publishers are releasing their new line-up of books. We have been the recipients of many wonderful picture books over the past few weeks and I'm hard pressed to know how to find time for all of the reviews, truth be told. Because I have a nice and healthy stack of picture books which have recently been released, I'm going to hijack my RAT post and share some of the books we've been reading. But as payback (to myself and to you) I'll include a giveaway - which you can find out more about at the end of this post. It was with some excitement that we opened up the package which contained their Fall 2012 releases. I am happy to tell you that they have offered to give away ONE of these titles to you. So, I'll proceed to share the description of each book and at the end of the post you can leave a comment letting me know which title you would like to win, should your name be selected as the winner, k? Animal Helpers: Wildlife Rehabilitators is Sylvan Dell's first title to use photographs. 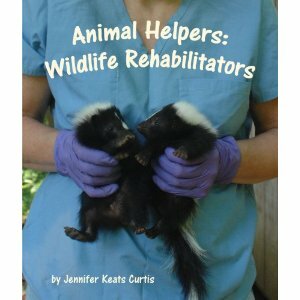 This book explains that there are certain people who are experts at caring for sick, hurt or orphaned animals called wildlife rehabilitators. It explains how they go about feeding and caring for wounded and needy animals - from birds to deer. There are plenty of pictures illustrating the text. Ultimately, the book is designed to encourage children to care for animals in need. I thought this book would be more interesting to my boys, given the photographs but apparently that made it mostly interesting to me. Not the most exciting book in the bunch, but not bad. Solar System Forecast , for you young earth folks (of which I am one), does mention that the sun is 4 billion years old. However, this "fact" is in the back of the book where they provide additional information about the planets. Really, this book is a clever idea. 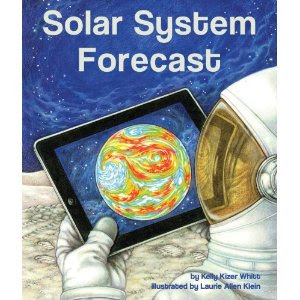 Just like you'd be watching a weather report on your local news, this book is providing you with the solar system forecast - describing the weather conditions on each planet. Unfortunately, my oldest is visually sensitive and if something looks scary to him, he will avoid the image like the plague. I was never able to read him this story because he got to the book first and, in flipping the pages, discovered a rather odd looking alien newscaster. It was just too much for him but if your child is less bothered by what they see, then this is likely not to be much of a problem. In Desert Baths we are introduced to various desert animals and their behaviors. I particularly enjoyed the illustrations by Katleen Rietz in this title. She is very artful in bringing javelinas, turtles and rattlesnakes to life. There is a page spread allotted to each animal and then in the back few pages of additional information, there is also a quiz for you to match up the animals with their amazingly created bodies which are designed to live in the desert. 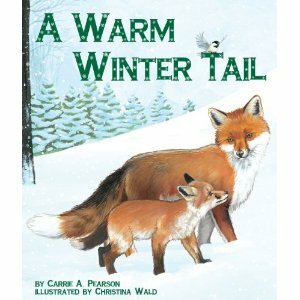 A Warm Winter Tail is just as unique as all the rest in the illustrations department. First of all, I should tell you that the entire book is a conversation between a child and their mother asking how it is that humans stay warm in the winter. Then there is a comparison game played. Do humans wrap tails around their bodies like foxes? Dig holes under the ground like turtles? That sort of thing. The illustrations of the animals are all quite lovely and we enjoyed them. But on each page spread there is also a smaller black and white drawing illustrating the child who is "dressed up" like the animal being discussed. So you see a picture of a boy with a fox tail attached, etc. For me personally, these pictures were distracting but I might also just be distracted because it's different. 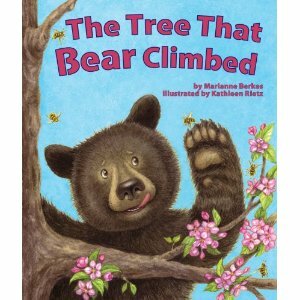 In the back of this book, there is more information on how animals stay warm and about hibernation. Lastly there is The Most Dangerous - which is our personal, hands-down favorite. In this book by Terri Fields, we are invited to a contest that the animals are having to find out which one of them is the most dangerous on the planet earth. Is it the huge salt water crocodile or the great white shark? Well, you might be surprised what is considered the most dangerous animals on earth. I was! 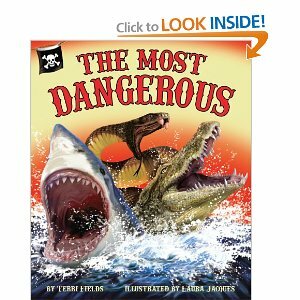 Of course, my boys loved this one because it was all about DANGER and "bad guy" animals. Definitely a hit in this household! So it all comes down to the following question: which one of these titles would you like to win? Choose your favorite and let me know what it is in the comment section. This contest is open to US Residents only and will be open through Wednesday, October 24th. Please leave a valid e-mail address with your comment! Thank you, Sylvan Dell, for providing these books for my family to read in exchange for our honest opinion. Thank you also for providing another copy to one of my readers! The Animal Helpers book looks really cute! I'm guessing the solar system one has a moon somewhere in it, so I'd pick it. Grasshopper has an incredible moon fascination right now! I came over from your Facebook post. Solar System Forecast looks like a lot of fun for my guys. Our space book collection is greatly lacking. And I came over from facebook today--unusual, I know! FUN!! I think The Most Dangerous would be Brother's favorite! I think we would like Warm Winter Tail. Thanks! Desert Bath for us!